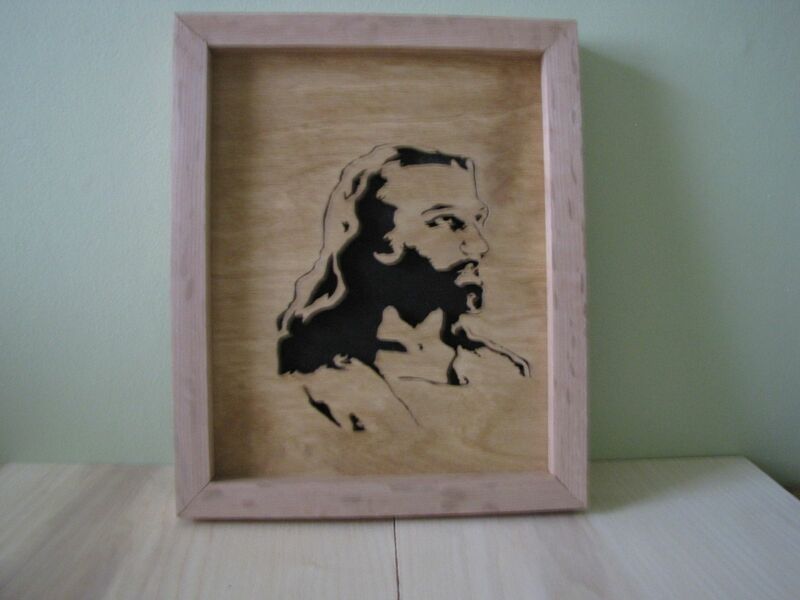 This is an 8" x 10" Oak scroll sawn picture of Jesus. The frame is solid Oak over all size is 9" x 11" x3/4". Size can be adjusted to your liking.